Talgara 3 is a three storey Chalet with premium quality inclusions, located in the Woodridge area, it is a short stroll to Friday Flat. This area is great for beginners and kids, and it has a great quad chairlift to get you up the slopes for intermediate and advanced skiers. The Chalet has filtered views of the Mountain and Thredbo Village. Awesome place for a great price! Always worth the stay! The place was very clean and would give you an impression that it is well-kept. They provided most of what we needed, from kitchen and dining to toiletry needs. Heating amenities was also enough as they had at least 4 heaters, aside from the fireplace. Our host, Anna Slavich, was very easy to communicate with, as she replied to all our queries/questions quite fast. It was such a comfortable and pleasant experience for us, it being our first time in Thredbo. We will definitely come back and hopefully book this place again. Great location, very comfortable. 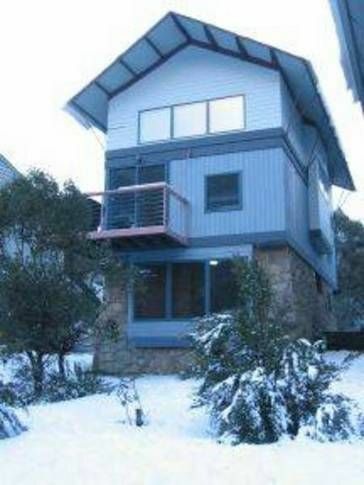 Everything you need for a stay in Thredbo. Walk to Friday Flat and Leisure centre. Loved the fireplace! We really enjoyed our 3 days at the lodge. Location was perfect, kitchen lounge and bedrooms were lovely.